Atherosclerosis is a very common condition in which the artery wall thickens and hardens due to build-up of fatty deposits (plaques). These plaques consist of fat, cholesterol, inflammatory cells and calcium. 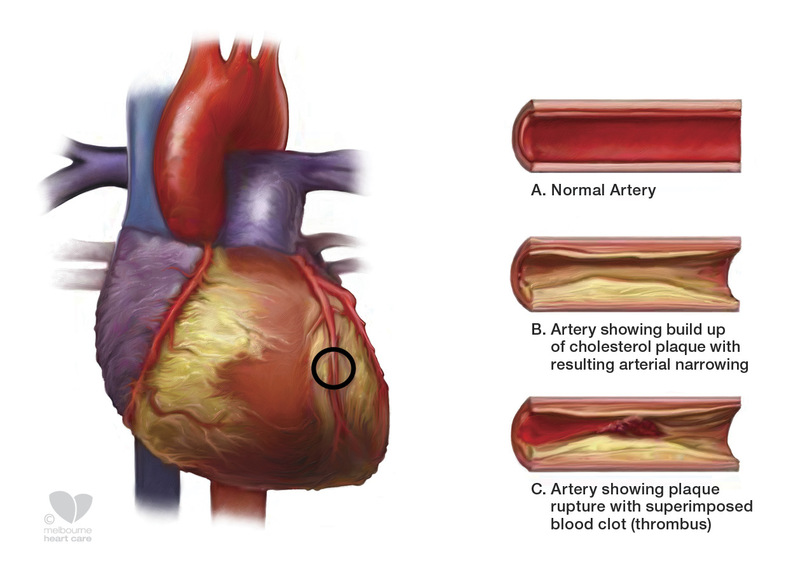 Atherosclerosis may be asymptomatic for decades but if plaques narrow the artery significantly restricting blood supply to organs, it will result in symptoms such as angina, calf/buttock pains and mini-strokes. Atherosclerosis may also “split” causing sudden narrowing/blockage of the artery from blood clot which will result in a heart attack or a stroke. Besides being more common with advanced age, the incidence of atherosclerosis increases with smoking, high blood pressure, high cholesterol, obesity and a family history of premature atherosclerosis (under the age of 65 years).